A number of airlines operating in the UAE are currently looking to recruit additional staff, with recent job postings showing vacancies for cabin crew and other aviation positions. 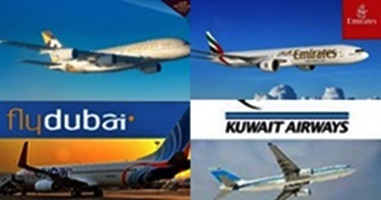 Among those that have opened vacancies this month are Etihad, Emirates, Flydubai and Kuwait Airways. At least three of these airlines are looking for flight crew while others have roles to fill in other departments. There are no new cabin crew assessment days scheduled yet, but the airline said it continues to welcome online applications. “All shortlisted candidates will be contacted once future assessment days have been confirmed,” the airline said. Etihad has also posted openings for several other positions, including food and beverage manager, in-flight chef, head of security and guest relations officer. At Flydubai, applicants are also welcome to submit applications for cabin crew. Minimum qualifications include high school diploma, one year experience in customer service or sales and fluency in written and spoken English, among others. There’s also an opening for learning and development facilitator and first officer – type rated pilot. There are no recent cabin crew postings at Emirates, but job seekers can still find opportunities to join the airline’s ground staff. Newly offered positions for UAE applicants include IT senior support engineer, flying instructor, safety specialist (dnata), regional catering manager, technical manager (cyber security), inventory and stores officer and doctor (general practice). For those willing to relocate to a neighbouring Gulf country, Kuwait Airways is open to receive applications for cabin crew until the end of the year. The airline, however, specified on its website that it is currently looking only for female applicants. Interested individuals must be between 20 and 32 years old and have a minimum height of 160 centimetres.